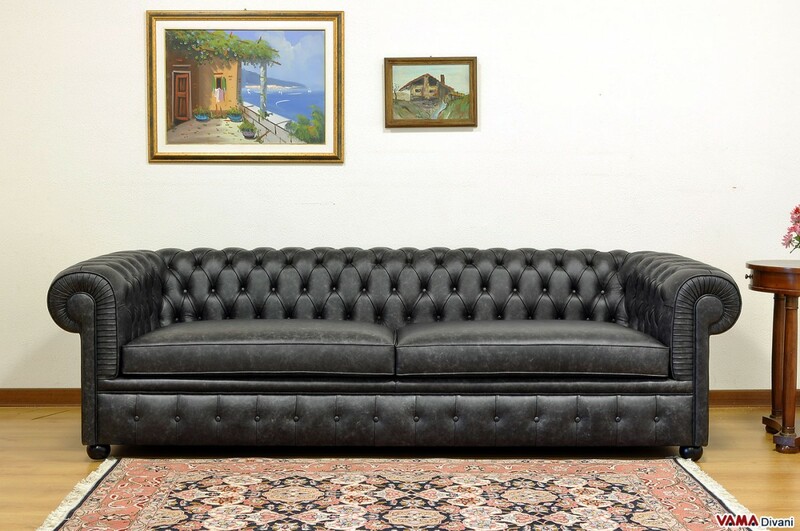 The Huge Chesterfield sofa presents all the features of the old Chesterfield sofas, including the well-finished buttoned details realised by our Italian craftsmen, but there is no shortage of interesting small and innovative details. 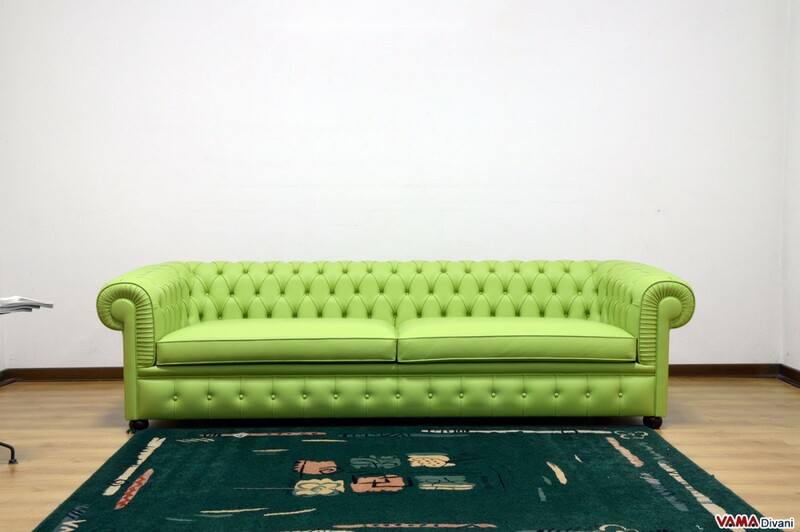 The beautiful colour shade makes this Chesterfield sofa very stylish and easy to match. 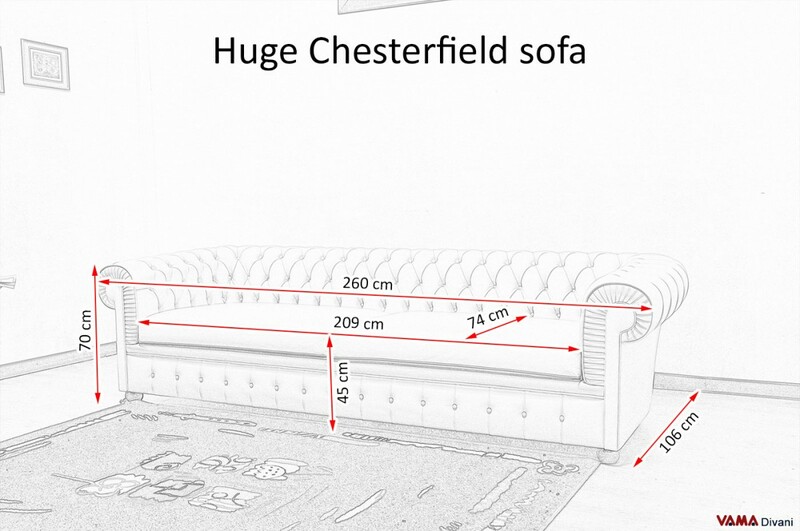 Impressive, huge, majestic: these are all synonyms for this "Chesterone" sofa. 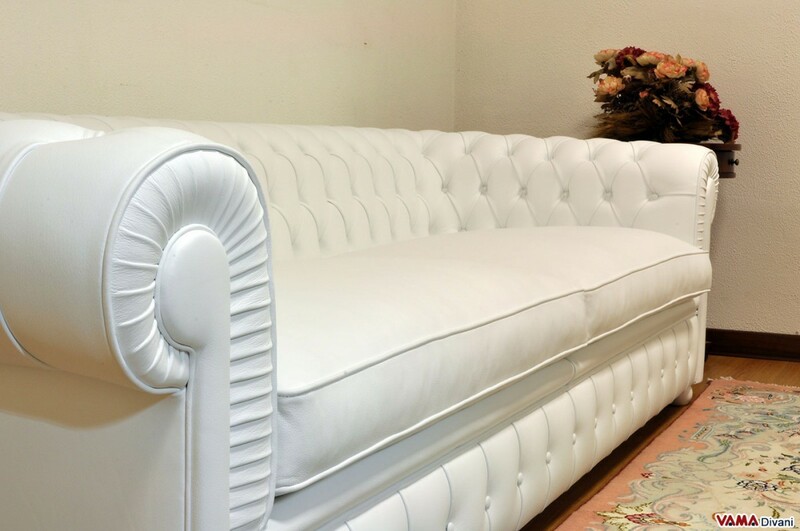 This Vintage design icon, is perfect for those who want to decorate in classic style a quite large room, or simply for those looking for a traditional sofa that will become the main character of the room. 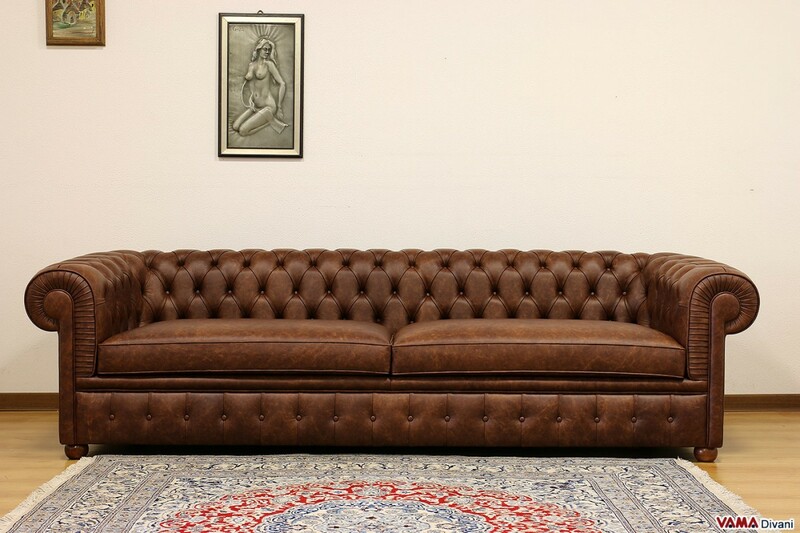 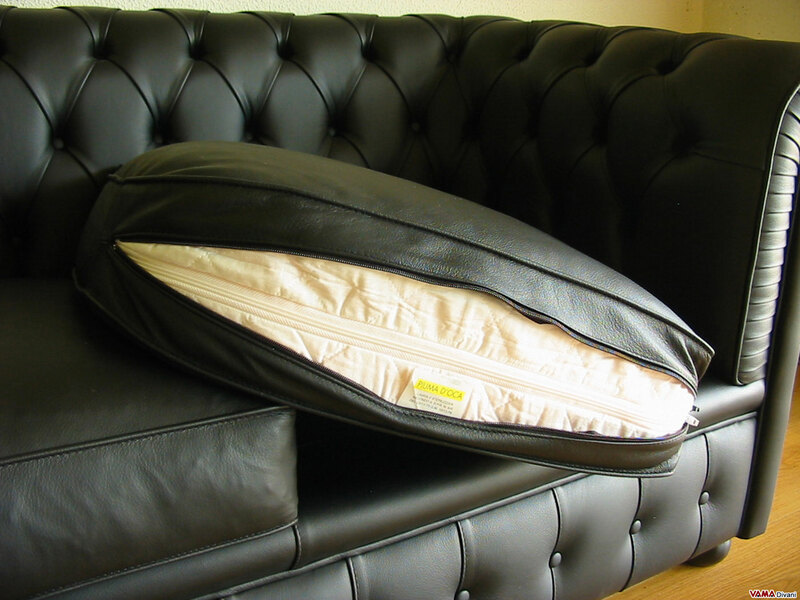 The Huge Chesterfield sofa almost presents all the peculiarities of the old Chesterfield sofa, such as the same height between the seat back and the arms, the presence of different details and, of course, the lovely buttoned body realised thanks to the application of buttons on its upholstery. 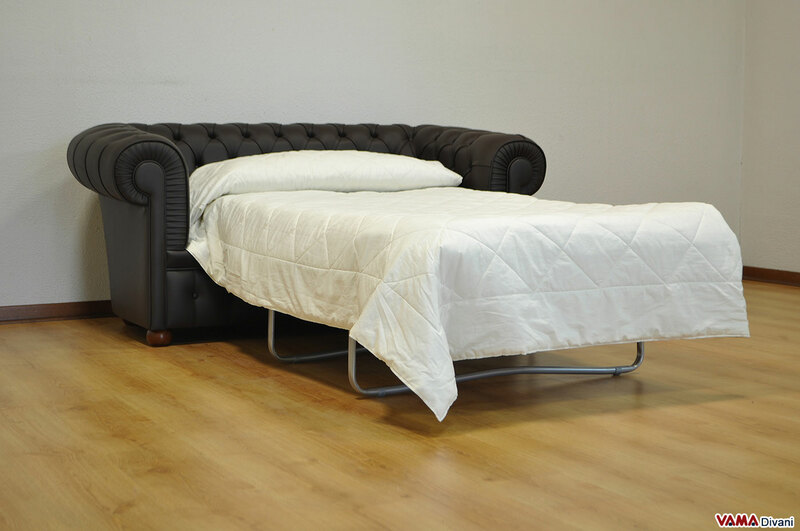 However, very impressive models and variations are available. 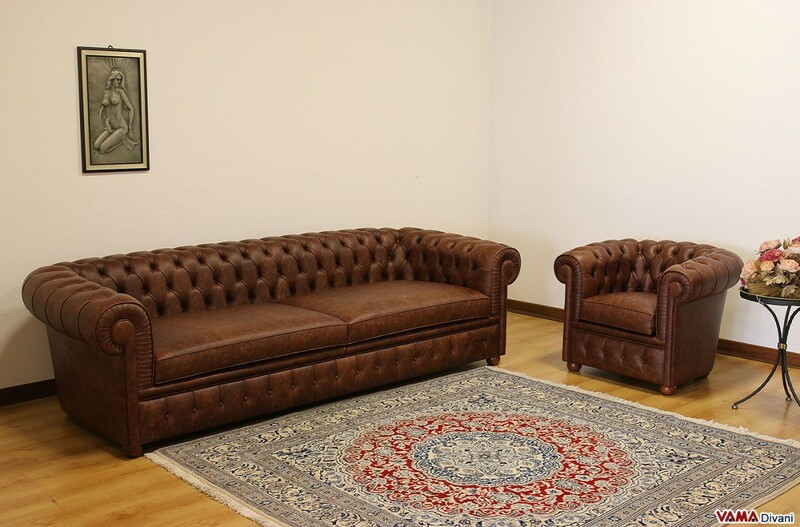 The seat of this sofa is composed, indeed, of two large cushions with a smooth surface and a deeper shape compared to classic Chesterfield sofas, in fact, this Huge Chesterfield sofa is 260 cm long and 106 cm deep, characterised by a very majestic look. 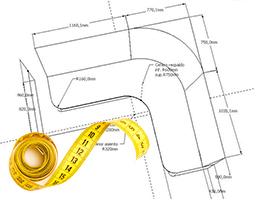 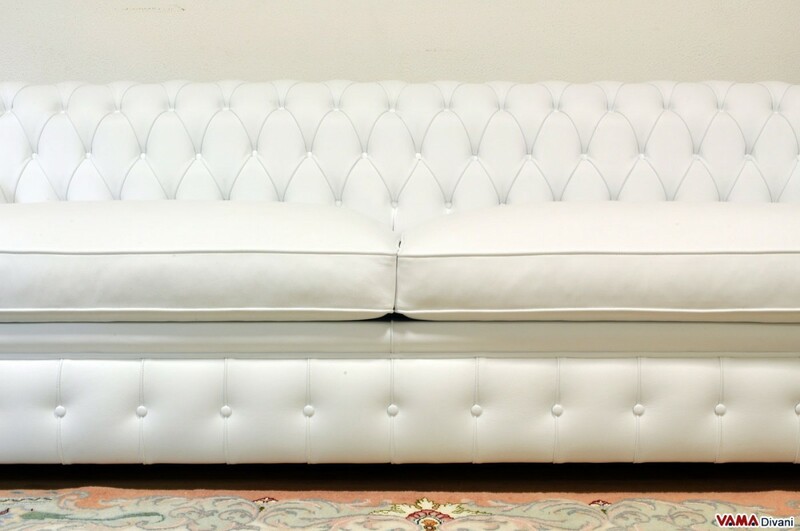 However, VAMA Divani offers the opportunity to order this Chester sofa in any custom size. 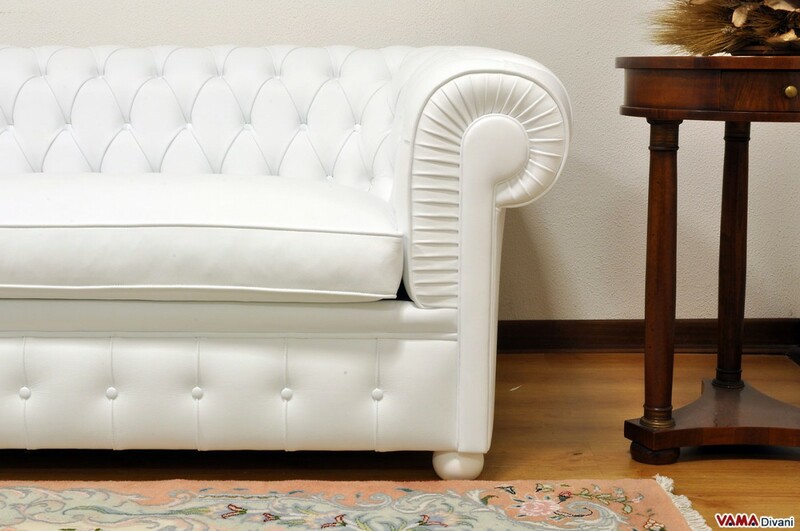 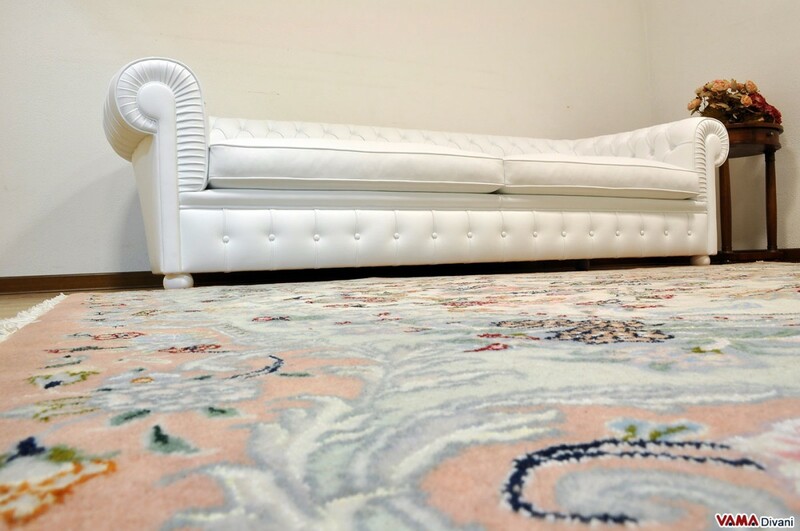 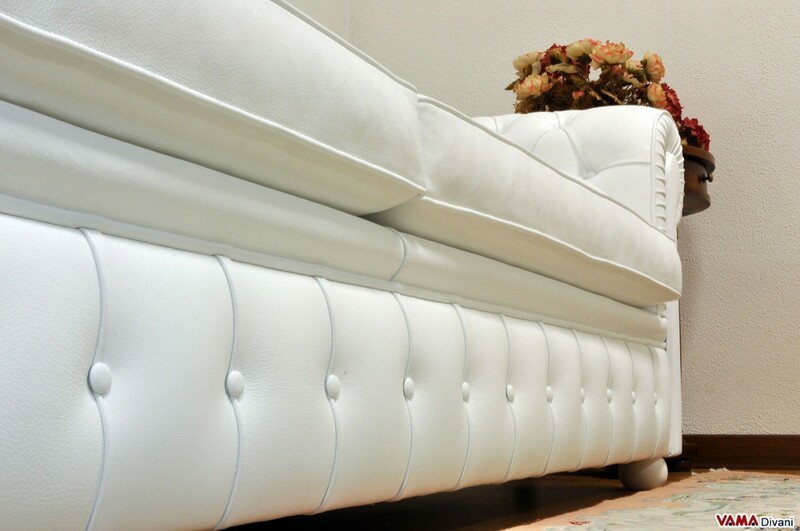 The selected leather used as its upholstery, thanks to its beautiful shades of white, makes the look of this sofa even more regal. 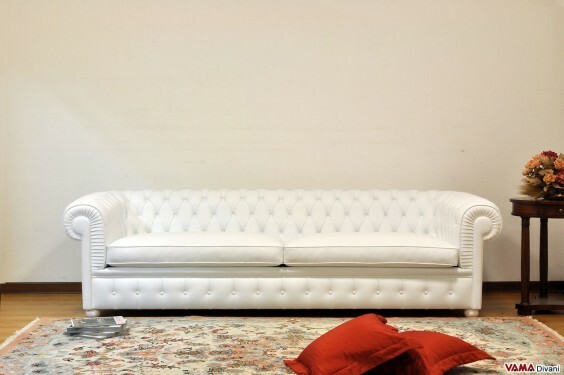 A Chester sofa for those who love to exaggerate, distinguishing a bit from the ordinary and classical furniture, it is perfect for modern and classic spaces.